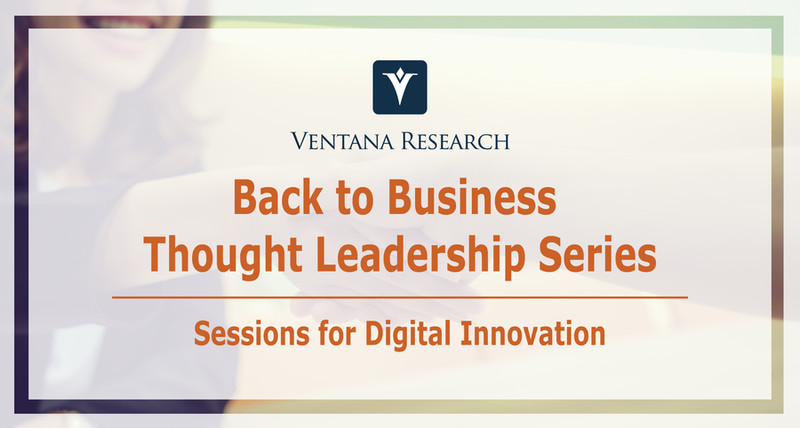 BEND, OR, September 14, 2018 /24-7PressRelease/ — Ventana Research today announced the launch of a new webcast series, Friday Back-to-Business Thought Leadership: Six Sessions for Digital Innovation. The six-webcast series will focus on digital transformation in front office processes and technologies that help organizations analyze and operate marketing, sales and service to provide the best possible customer experience. Starting on September 28th with “Innovating Voice of the Customer Technologies,” the series will run through December 7th, with a 30-minute, live webinar roughly every other Friday. “The radical growth of new technologies and digital innovations over just the last few years have dramatically changed how businesses must operate and interact with customers,” said Mark Smith, CEO and Chief Research Officer of Ventana Research. “We believe that by 2021, only half of organizations will have transformed their business processes to be more intelligent and automated by embracing digital technology, even though much of the technology exists today. Those interested in learning more about the series can find more information at www.ventanaresearch.com/webinar_series/customer_experience/friday_back_to_business_technology_sessions. Because in this day and age customers matter the most, organizations must gain insight into the feedback and sentiment that can help guide changes and the digital transformation required to provide an effective customer experience. This webinar will cover how organizations are not realizing the customers’ challenges of today, why today’s customer experience is creating disruptions in business, where digital transformation can innovate customer processes for optimized engagement, what voice-of-the-customer technologies are best for your organization, and more. The power of the workforce is found in the execution of work that utilizes the portfolio of programs and resources across the enterprise. Unfortunately, the range of tasks and activities that are executed in a structured or unstructured manner can either deliver optimized or less-than-desirable business outcomes. This webinar will cover how today’s workforce is not enabled to achieve their full operational value, ways the new digital generation of technology is designed for an intelligent work experience, where organizations need to prioritize investments for optimal effectiveness, the most important technology priorities for improving the business value of programs and portfolios are, and more. Today’s marketing organizations still operate using last decade’s marketing methods, which range from placing investment into outbound marketing emails, tradeshows and events to the PPC and SEO magic across the internet and social media. 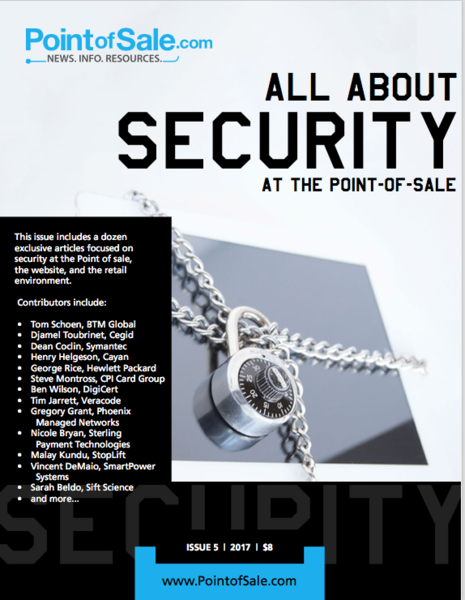 The new pressures of GDPR and newer regulations guiding the use of personal privacy information (PII) means that marketing organizations must find new digital innovations that enable new methods to be effective in every interaction. From augmented reality (AR), chat and voice bots to interactive content marketing, a focus on the digital experience through the content and information can engage your audience but will require rethinking and designing marketing that delivers value. Today’s sales organizations still operate using the design of processes and technology from the 90s that were not equipped to optimize sales, let alone revenue. The operational effectiveness of sales requires a new generation of applications designed to facilitate efficiency in maximizing the full potential of sales performance. This webinar will cover how most sales operations are not enabled to achieving their full potential, why the effectiveness of sales is achieved through digital transformation, where enabling intelligence in sales operations maximizes performance, what technology priorities can immediately provide continuous improvement, and more. For many organizations, the challenge in creating a unified view of customer data in order to better service issues and requests is holding on to the legacy technology that creates impediments for customer service and prevents efficient agent interactions. This webinar will cover how today’s contact centers are not designed to meet customer’s needs, how the cloud and collaborative technologies can innovate interactions, where organizations can prioritize new technology investments, what companies need to do for assessing digital innovation in contact centers, and more. Every organization’s workforce of agents has great potential to engage and provide a great customer experience. Unfortunately, the challenges customers face are largely due to companies that have not well-prepared the agents or ensured systems have easily accessible information so that agents can resolve questions at any time of the day. This webinar will cover how today’s organizations struggle to engage customers intelligently, why optimization of agents requires coaching, learning and performance objectives, where today’s WFO applications are falling short in enabling customer interactions, what digital innovation is needed to transform contact centers, and more.